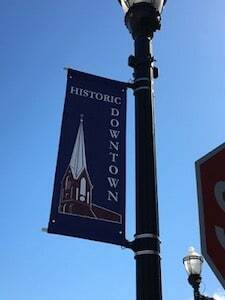 If you were cited or arrested for a DUI (same as DUII) in The Dalles, Oregon, we urge you to contact us right away. Cases can be filed in The Dalles Municipal Court or the Wasco County Circuit Court. Make sure to check your citation and release agreement to ensure you appear at the right location. It is your responsibility to arrive at all court appearances timely. There are additional time sensitive factors that need to be managed as you handle your DUI citation, which is why we encourage you to hire an attorney. Not just any attorney, we suggest you retain an attorney with knowledge, skill, experience and expertise in DUI law. When you work with our team, you’re getting just that. Our DUI attorneys have over 50 years of combined experience. The court system is complicated. You will absolutely want somebody who is experienced to help navigate through all of your court proceedings. When you show up to court with one of Reynolds Defense Firm’s attorneys, you don’t just get that lawyer, you get the entire firm’s hard-earned reputation. Having us by your side shows the judge you are serious about handling your charges, and that your chosen DUI lawyer who believes in you and maintains that you deserve a closer look among all the other cases that the court members consider. Our team of DUI attorneys have over 50 years of experience and have established relationships with members of the court in The Dalles. This does not mean that Reynolds Defense Firm can offer you under-the-table deals. However, having relationships with judges, prosecutors, police officers and other key figures is crucial in ensuring that all unwanted repercussions are kept to a minimum. The choice is yours. You can hire us or hire somebody else, just make sure you are represented by a skilled attorney who specializes in Oregon DUI law and can use that skillset to meticulously represent you in The Dalles’ courts like our attorneys can. The Dalles was named by fur trappers for the French word for gutter. Emigrants floated down the Columbia River in rafts through the stony river gorge. The Dalles is argued to be the “real” end of the Oregon Trail. Lewis and Clark called The Dalles “Rock Fort” when they would visit, and their campsite is marked on the town’s scenic Riverfront Trail, appropriately located by the river. In 1847, the U.S. military built Fort Dalles. 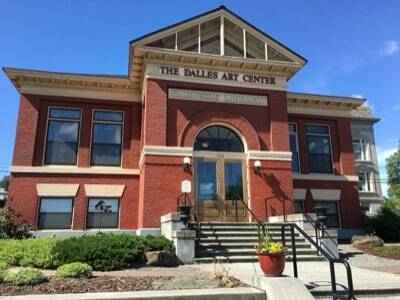 The surgeon’s quarters are now the Fort Dalles Museum, which is one of the oldest museums in the state. Another notable piece of history in The Dalles is the Wasco County Courthouse, which was built in 1859 and still contains some of the original prisoner restraints. Avid readers and history buffs will want to visit Klindt’s Books, the oldest, continuously running bookstore, established in 1870. The Columbia Gorge Discovery Center is a great place to learn about the cultural and natural history of the region. Bird lovers will be excited to see the various raptors that call this place home. The Dalles also offers a ton of recreational activities, from rafting and boating to hiking and rock climbing. 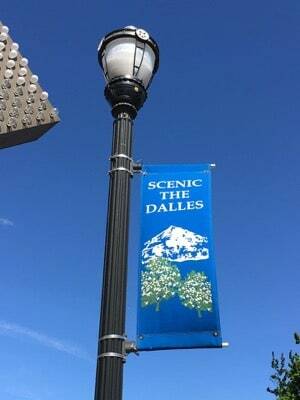 The Dalles is also a leading producer of cereal grains, sweet cherries and apples. Contact Reynolds Defense Firm if you have been charged with DUI or other related criminal offenses. We know an arrest can be overwhelming and that’s why we’re here for you however and whenever you need us. You can call us at 503-223-3422, submit a form online, text, and we offer a live chat service 24/7. We have over 5 decades of combined experience with DUI arrests from all over the State of Oregon. We can help relieve some of your stress by answering any questions about the DUI process in The Dalles. We’re here, we’re solid, and we’re good at what we do. Representing good people facing DUI charges.